The review, like any genre, has its own structure. There are norms for writing a review, and there is a review structure: one must go from the general to particular things. In the beginning, there must be a general thesis: what is the play about? In the review, it is possible to describe the key mise-en-scenes, some episodes, and the work of the actors. In the process of writing about a play, theatrical terms should be carefully treated with. To avoid misuse, it is best to look in the dictionary. It is very important not to mention “like” or “dislike.” This is from the field of a spectator commenting on the performance. Such phrases as “liked the actor,” “the acting was convincing,” “coped well with the role” are better left out. They do not carry any information to potential viewers and actors. Another frequent mistake is the retelling of the plot. If it is necessary to do this, it should be done briefly and elegantly. And it’s very important not to talk about discoveries when they didn’t happen. This is often seen in reviews due to the reviewer’s lack of experience and ignorance of the history of theatrical productions. A review is a product of creativity. The reviewer should try to convey the spirit of the play, so that the reader wants or does not want to see it. Grab a notebook and pen while going to the play. To make notes in the dark is not very convenient, but this is a necessary part of the work. Draw as the scene looks, write down the replicas you liked and all your impressions that arose during the performance and that can later be forgotten. Returning home, it is better to immediately “decipher” all the notes made hastily. Carry out preliminary work. Read the piece on which the play is staged. Find out when and where it was already presented. Do not rush to write a review. It is better to write it on the next day after the performance. Compare the first impressions with the aftertaste. After that, you can start to write the text itself. In the first part of the article it is necessary to provide brief information about the theater, the main director and his previous productions. You should mention the play. It is necessary to talk about the tradition of its production. Write an analysis of the ideological content. Think about what thought the director wanted to convey to the audience, and the atmosphere at the play. Analyze several important episodes, and note the original director’s decisions and actor’s findings. Give arguments regardless of whether you praise or scold. It is very important to maintain objectivity, even if you didn’t like the production as a whole. In any performance, you can find positive aspects. If to talk about staging classical plays by Shakespeare, for example, focus on what was new in this interpretation. Evaluate the actors’ game. Calling the characters of the play by their names, do not forget to indicate in parentheses the names of the actors who performed the roles. It is not necessary to list in detail all the actors. Mention those whose game really hit you. Write about the scenography of the play. Tell about color solutions, light scenarios and how the form helped the disclosure of content. It is worth writing a few words about the work of the choreographer, costume designer and make-up artist. How to write a theater review successfully? Whether the production venue is a high school drama department, a community theater or a Broadway stage, a good theater review highlights the virtues and demerits of the show, praises the talents of its actors and tempts fellow theater lovers to buy tickets. Identify the name of the play, the genre, the name of the production company and where the show plays in the introductory paragraph. Example: The summer season of the Players of Favorable Conditions has just started with a six-week run of “Muriel Memoirs” at the newly renovated Crane Performing Arts Center. This modern drama directed by the stars of “Mary Laris” consists of four experienced actors, whose faces will be known to the patrons who follow the stage scene of Arcadia. Provide a brief summary of the play that describes the setting, represents the protagonists and tells the audience what the main conflict is. The purpose of this paragraph is to catch the reader’s curiosity about what happens next, but never to spoil their own pleasure from the show, revealing all the twists and surprises that await. Share your observations about the individual activities, cast, set design and costumes, and how technical elements such as lighting, sound effects and music increased production or diminished it. Suggest constructive comments on what could have been done to make the show better. Example: The volume of recorded music sometimes made it difficult to hear what the actors were saying. Include a link to the playwright and other plays that he or she wrote. If there is anything interesting or unique about the inspiration behind the script, its executive history or why the director wanted to produce it, mention it too. Example: Ten percent of box office proceeds will be donated to the Alzheimer’s Disease Foundation. Provide readers with information on executive dates and times where to buy tickets, and whether there are any elements of the show, such as violence and sexual or harsh words, which make it inappropriate for young children. A critical theater article in itself is a small artwork with a start, culmination and denouement. 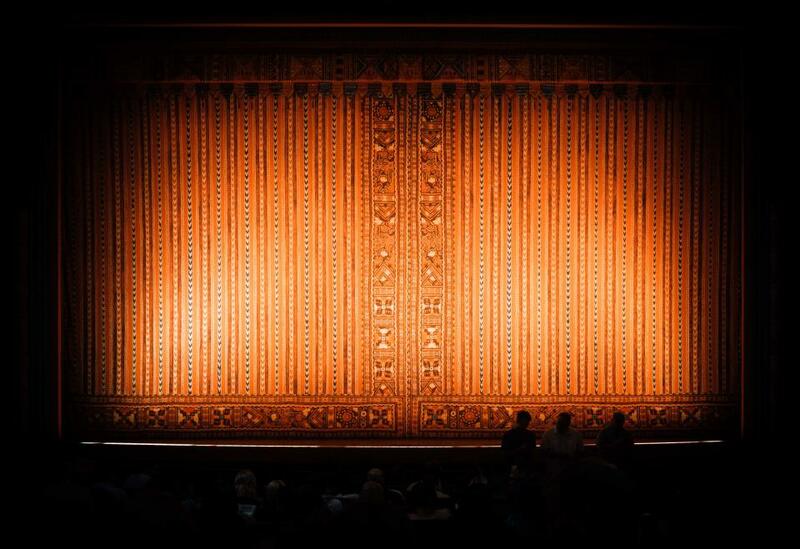 A successful theatrical review reflects the main features of the production, while remaining brief and fascinating: to keep the reader’s attention is often no less difficult than the audience in the theater. If you like this article about a theater review, check out also How to Write a Film Review to Make a Good Impression.